Hypnotherapy Scripts, 2nd Edition is a straightforward, practical guide for doing Ericksonian hypnotherapy. This book not only explains the rationale for every step in the hypnotherapeutic process, it also contains sample scripts for each step. This edition of Hypnotherapy Scripts guides professionals through the construction of their own hypnotherapy induction and suggestion scripts. 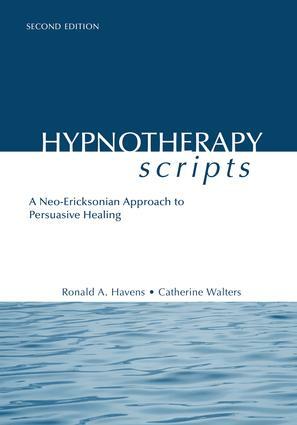 Verbatim sample transcripts of various induction and therapeutic suggestion procedures with detailed guidelines for creating one's own hypnotherapeutic inductions and metaphors are included. Recent research and writings on the role of unconscious processes, wellness, and positive psychology have been added to this edition. Also included is a detailed review of the diagnostic trance process, a therapeutic procedure unique to this text.